An FBI investigation found evidence discrediting the man's story. A British man was arrested and charged with murder in connection with the disappearance of his newlywed wife last May, who he claimed fell from their catamaran during a belated honeymoon sailing trip to the Caribbean, authorities said today. 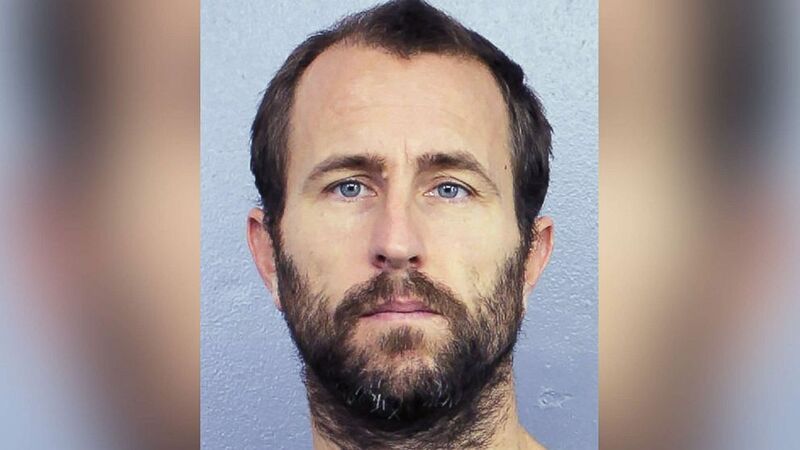 Lewis Bennett, 41, was arrested on Feb. 16 after an FBI investigation found evidence discrediting his story that his wife, Isabella Hellman, the mother of his 9-month-old daughter, vanished from their 40-foot vessel when it hit something in open international waters while he was asleep in the cabin below deck, according to a criminal complaint obtained by ABC News. (Broward Sheriff) Lewis Bennett is pictured in an undated booking photo released by the Broward Sheriff's office in Florida. By examining photos and video the U.S. Coast Guard took of the catamaran before it sank, an expert hired by the FBI to help in the high-seas mystery determined Bennett's story couldn't be true. "Based on the analysis it does not appear the vessel sinking was caused by accidental damage. 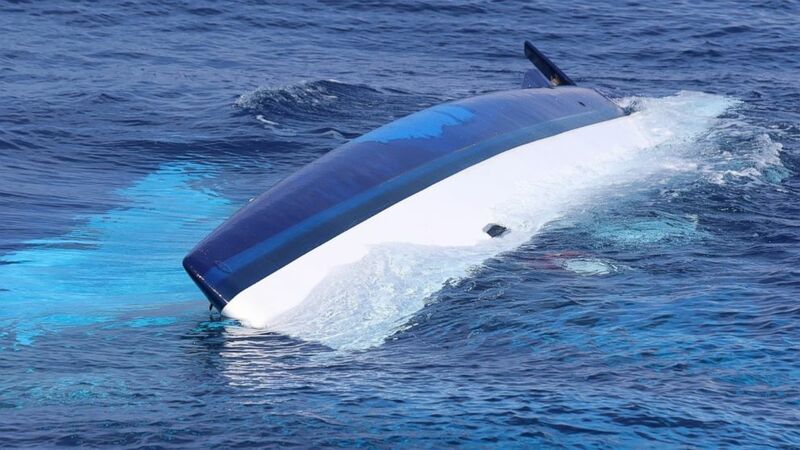 Rather, it appears the vessel was intentionally scuttled," an associate professor of nautical architecture and ocean engineering at the U.S. Coast Guard Academy stated in court records. Bennett was arrested when he appeared in a Florida court on unrelated charges of transporting $5,000 of gold and silver coins, which he pleaded guilty to in November, according to the complaint. 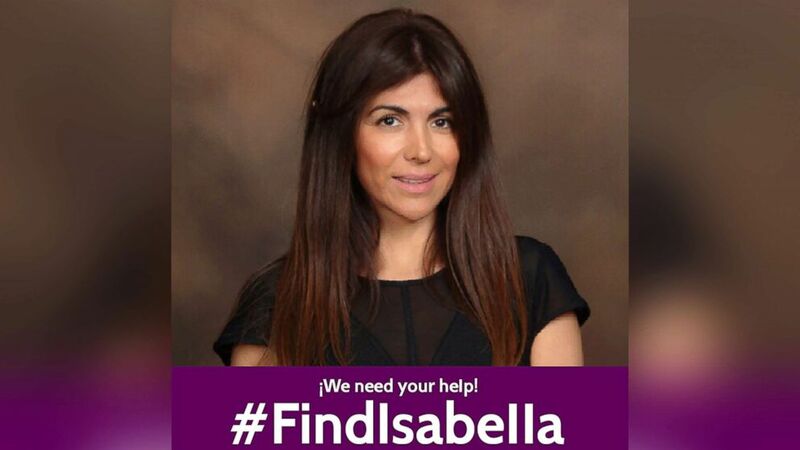 (Find Isabella/Facebook) Isabella Hellman is pictured in an undated photo posted to the Find Isabella Facebook page on June 1, 2017. "I respectfully submit that there is probable cause to believe that Lewis Richard Bennett knowingly and unlawfully killed Isabella Hellman with malice aforethought within the special maritime and territorial jurisdiction of the United States," FBI Special Agent James Kelley wrote in the criminal complaint. Investigators suspect Bennett killed his 41-year-old wife in order to collect on an insurance policy and take sole possession of their marital assets, including bank accounts and a home she owned in Delray Beach, Florida, according to court documents. He also raised suspicions when he asked the Coast Guard for a “letter of presumed death" on the day they called off the search for his wife, four days after she disappeared, according to the complaint. Isabella Hellman's body was never found despite a 4,900-square-mile search for her conducted by the Coast Guard. Bennett, who had been a realtor in South Florida, and Hellman were married in February 2017 and set out on a belated honeymoon in May, according to the court papers. Bennett told investigators that he and his wife began their sailing trip from the Caribbean island of St. Maarten, journeyed to Puerto Rico and arrived in Cuba. They spent a day in Varadero, Cuba, before charting a course back to Florida on the evening of May 17, 2017, the complaint said. He claimed they had planned to either sail to Key West or Fort Lauderdale and around 8 p.m. he set the "auto pilot" on the vessel, told his wife to take watch on deck and headed below to sleep, according to the documents. (U.S. Coast Guard District 7, FILE) The 37-foot catamaran, Surf into Summer, is pictured while partially sunk, May 15, 2017 in the Florida Straits 30 miles west of Cay Sal, Bahamas. "Bennett claimed that he was next awakened by a 'crashing underneath' a few hours later," Kelley wrote in the court papers. "Bennett said he went to the upper deck and Hellman was not there." Bennett told investigators he noticed the vessel was taking on water, so he gathered his personal belongings -- including unexpended parachute flares, water, a tea set, and nine plastic tubes containing silver coins -- and abandoned ship, jumping into a life raft and cutting himself adrift from the sinking catamaran, the court documents state. When asked during a May 23 interview with investigators what efforts he took to locate his wife in the water, "Bennett said that he did not do anything," the complaint said. Instead, he used a satellite phone to call one of wife's sisters, leaving her a voicemail informing her of Hellman's disappearance, the complaint said. He then contacted a friend in Australia and asked that they contact the U.S. Coast Guard on his behalf, the complaint said. "Bennett then made telephonic contact with USCG while awaiting his rescue," Kelley noted in the complaint. Within days of arriving back in South Florida, Bennett purchased airline tickets for him and his young daughter and took her to the United Kingdom on May 28. He was arrested in the stolen coin case in August 2017, when he returned to South Florida for an interview on his insurance claim, the complaint said. Bennett was arrested for his wife's murder on the same day Hellman's parents and sisters sent a letter to federal Judge James Lawrence King complaining that Bennett has kept them away from his daughter, Emilia. "We do not want to say anything bad about Lewis, but we would like him to know how much it hurts us not to be able to see and spend time with our granddaughter and niece, Emilia, since he took her out of the country," the family wrote in the letter obtained by ABC News. "Lewis knows that Isabella's mother was very much involved in caring for Emilia from the time of her birth here in Florida until she was lost at sea." 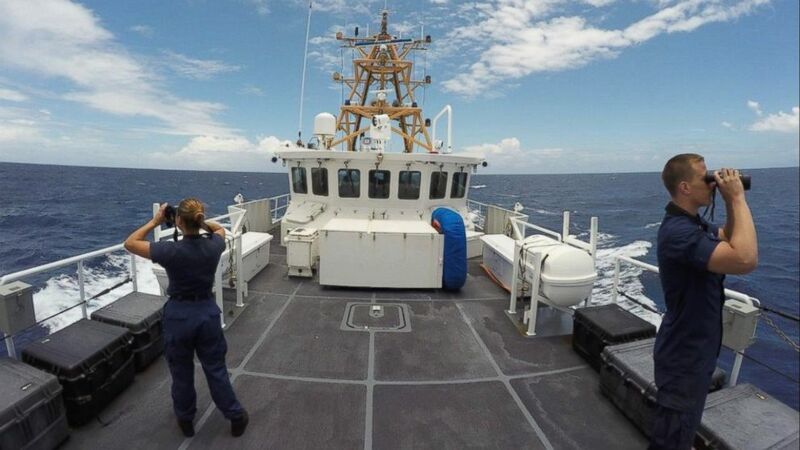 (U.S. Coast Guard) Members of the Coast Guard search for Isabella Hellman west of Cay Sal, Bahamas, May 17, 2017. In his statement, Kelley indicated that Bennett's story of his catamaran crashing into something in open waters raised suspicions. He said, according to the complaint, that the catamaran's two escape hatch portholes were inexplicably opened and that holes seen in both hulls were almost identical, according to the complaint. "I cannot think of any item that would accidentally cause similar holes in both hulls at roughly the same time," the FBI's nautical architecture and ocean engineering expert noted in the complaint.